Grew up… the daughter of the wealthy Noah Cross, former owner of Los Angeles's water department. Living… in Los Angeles in the 1930s. Evelyn used to live comfortably with her husband, Hollis Mulwray, chief of the water department and her father's old business partner. Profession… trophy wife. Evelyn was living off her husband’s wealth until disaster struck. 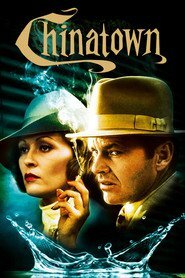 Someone impersonating Evelyn hired the hardened detective, J.J. Gittes, to investigate an affair involving her husband. However, when he turns up dead, apparently drowned in a reservoir, the real Evelyn enlists his help to find the person responsible. Evelyn has a hunch who it might it be, and if she's right, then she's in danger, too. Interests… juggling her conflicting interests. Evelyn's father, Noah, is trying to hire Gittes to find Hollis's missing girlfriend, whom Evelyn seems to be protecting for some reason. Is that due to some odd loyalty to her dead husband, fear of her admittedly fearsome father, or something even darker? Good luck getting the answer out of Evelyn. Relationship Status… widowed. Evelyn was married to Hollis Mulwray, but after his death, she begins to grow close to Gittes. But can she trust him, especially when her father also hires him to find the person Hollis allegedly had an affair with? J.J. doesn't seem to understand that beyond her own daddy issues, Evelyn is genuinely scared of what her father is capable of. As she warns him, "My father is a very dangerous man. You don't know how dangerous. You don't know how crazy." Challenge… revealing as little as possible. It's clear that Evelyn only deals in half-truths, and is guarding a large secret. J.J. is on to her, but will she let him in, especially when the bad guys close in around them as they get closer to unravelling the mystery? Personality… secretive and elegant. Evelyn is a woman of sophistication and wealth. Cool and guarded, she puts up a wall to protect herself from the dangers of the world. Evelyn Mulwray's popularity ranking on CharacTour is #2081 out of 5,000+ characters. See our top-ranked characters and read their profiles.